Why Invest in ELSS Mutual Funds? “March is about to end. What can I do to save tax?” is a common thought in the mind of a large number of people in India. People are searching for various investment options through which they can save the maximum amount in such a short time. Well, if you are one among them then you are at the right place as in this blog we are going to discuss that how ELSS funds can help you enjoy optimal tax benefits in such short amount of time. How to Invest in ELSS Optimally? ELSS, also known as Equity Linked Savings Scheme is a category of equity mutual funds, by investing in which investors can enjoy dual benefits of high growth from equity instruments and tax deductions on investments of up to Rs. 1.5 lakh. 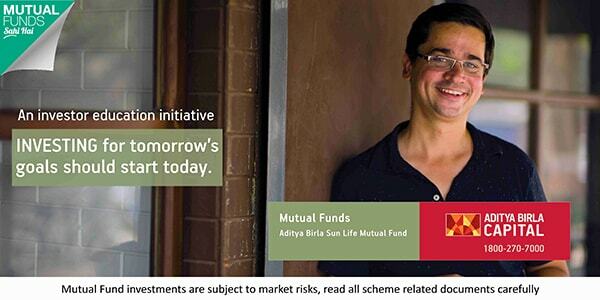 These schemes fall u/s 80C which allows them to provide tax saving benefits to investors. These schemes have a lock-in of just 3 years, which is lowest among all the 80C instruments. Now, let’s take a look at how you can save tax from ELSS optimally. Mr. Rameshwar, age 29, is a Software Engineer in an IT company with an annual salary of Rs. 5,00,000. Now, with this income the tax will be calculated at a rate of 20%, but after he makes an investment of Rs. 1.5 lakh, the tax liability will be calculated on an amount of Rs. 3.5 lakhs and will be calculated at a rate of 5% and the tax liability will decrease greatly. Now, if you fall in the highest tax bracket then it is even better for you as you will be able to save tax of up to Rs. 46,800*. Let’s take a look at how you can save this amount with the help of a detailed calculation. In the below table the income tax liability is calculated on an annual income of Rs. 12 lakh, The first table will show you the tax liability before any kind of investments are made, and in the second table you will see that how by investing in ELSS, a sum of Rs. 46,800 can be saved. So, with the help of the above tables, you can see that before making any kind of investments in the ELSS, the total tax liability on the annual income of Rs. 12 lakh is Rs. 1,79,400, and after making the investment of Rs. 1.5 lakh the tax liability came down to Rs. 1,32,600, which is a difference of Rs. 46,800. Now, after you know how you can save tax, let’s move to the top ELSS funds in which you can invest to take the most from your investments. Now, one important point to remember is that unlike market cap or sector oriented schemes, ELSS funds are not bound to a particular approach. So, before you select one from the above list make sure that you carry out a detailed analysis of the fund, and then choose one that perfectly fits with your investment style. Hope by reading the above write up you got the idea that how ELSS can help you in saving taxes even within such a short time period. In case you are not sure which scheme is best for you, or have any other query about ELSS funds, feel free to connect with the experts.